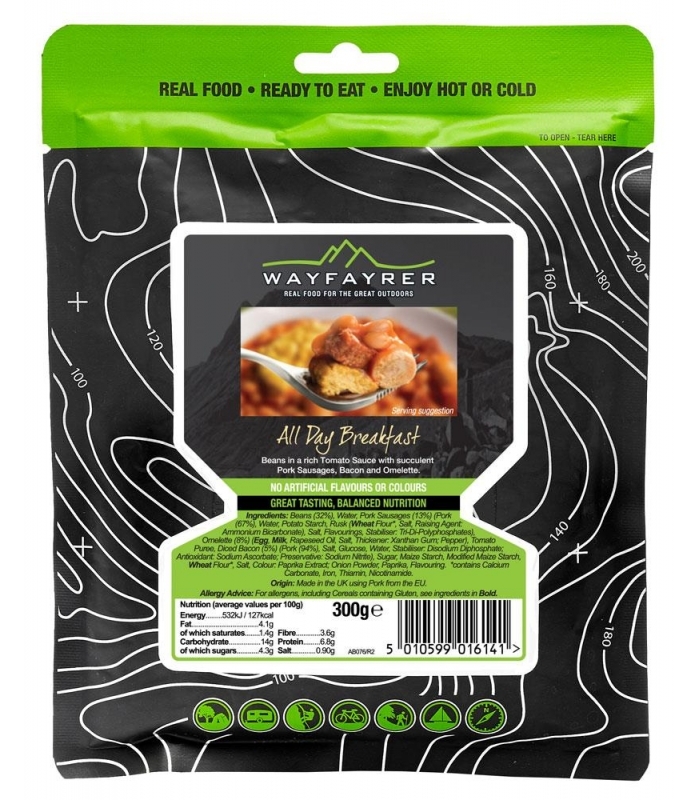 Wayfayrer All Day Breakfast - Beans in tomato sauce with sausages, bacon and omelette. 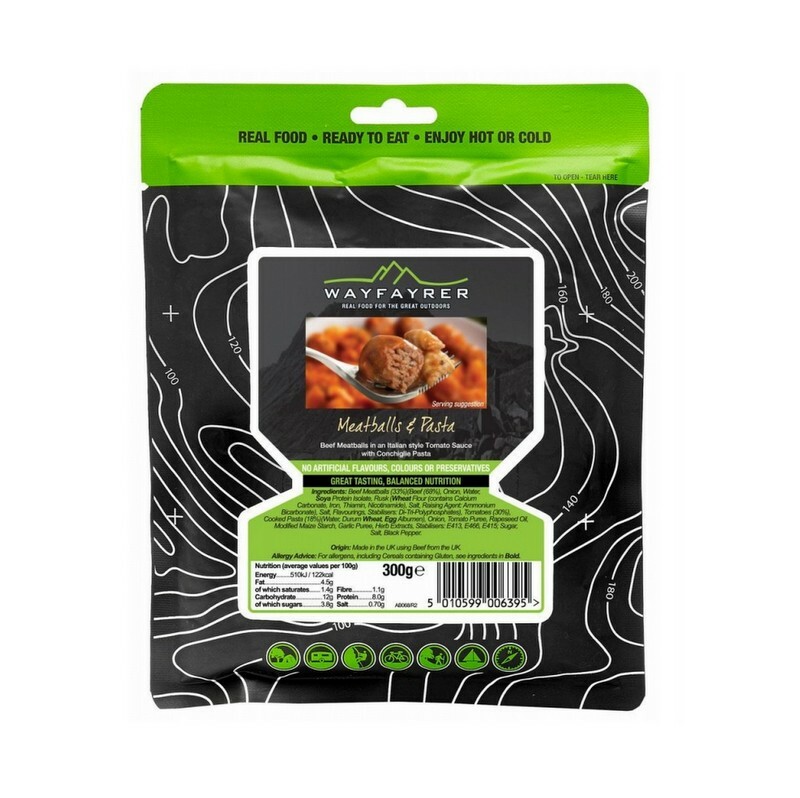 Real food, ready to eat - The contents are fully cooked and so may be eaten hot or cold. 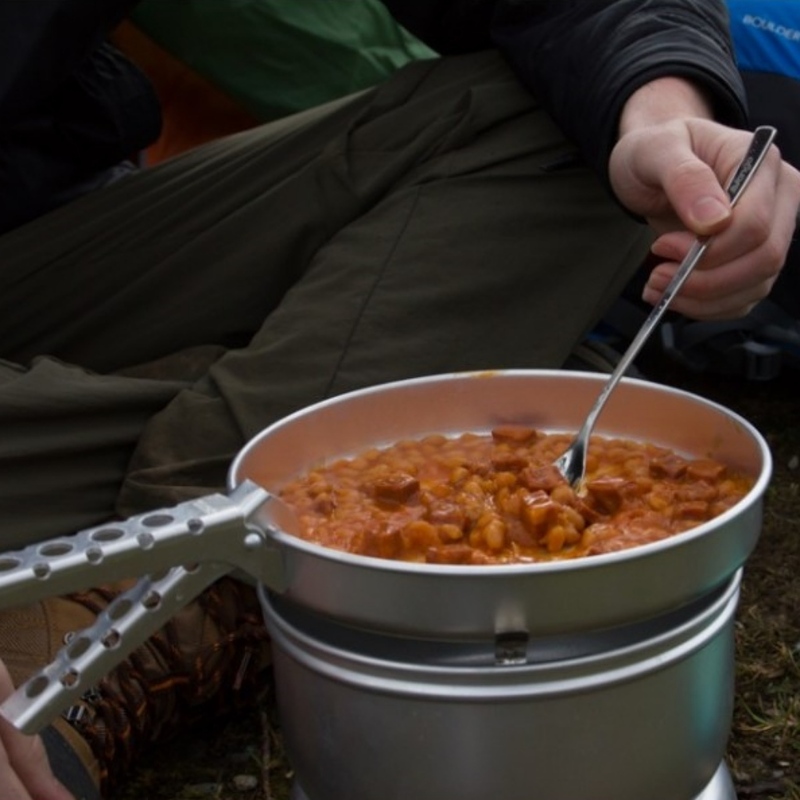 They satisfy the heartiest of appetites whilst camping, walking, climbing, sailing and all other outdoor activities. 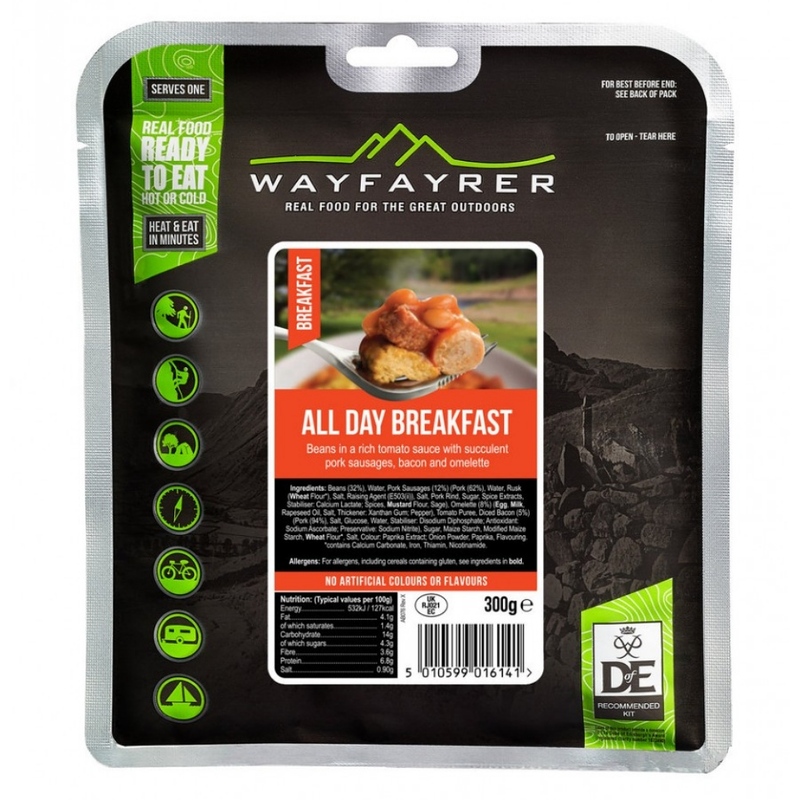 Equally at home in the countryside or in the Himalayas, Wayfayrer meals have been tried and tested at the ends of the earth. 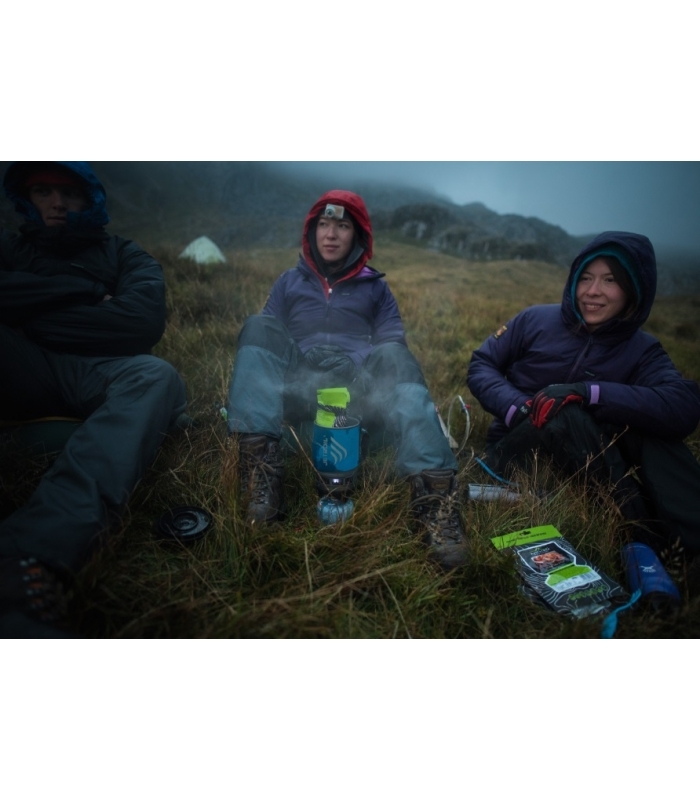 The first choice of food for adventurers and expedition teams..
Colour : Paprika Extract; Onion Powder, Paprika, Flavouring.